Classical pianist Rad Damiano flees for her life. 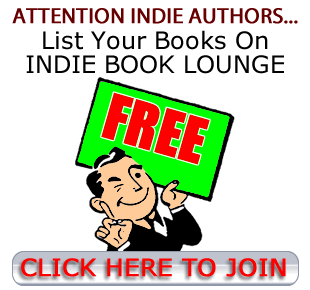 Indie Book Lounge is THE hottest spot to find Indie books for your Kindle®, iPad®, Nook®, and more from over 2,200 Independent Authors and Publishers. We have dozens of genres with thousands of titles. So what are you waiting for? Select a genre and discover why Indie Authors are the BEST! How long can one's love go unrequited before they give up? How can one see such love when those words go unsaid? Another Fall passed, another relationship failed. Year after year Matthew has watched the love of his life Rachel Nelson hurt herself with her false-loves. And year after year it is he that she calls out to heal her so she can move on, but this time his presence isn't fading so quickly. This time her hand lingers upon his for those few precious moments longer. Is his dream finally coming true, he asks himself, or have his hopes been drawn out for so long that he's become delusional for her mirrored love? When adventure calls, sometimes it’s best to send it to voicemail. When an alien named Zinka drops into Thaddeus Kinglsey’s life, he finally gets the adventure he’s been waiting for. Zinka’s being pursued across the Milky Way by the evil galactic tyrant, Derask and needs help repairing her ship. Thad jumps at the chance to do something extraordinary and begins an adventure he will never forget. Unfortunately, helping Zinka has some unintended consequences.